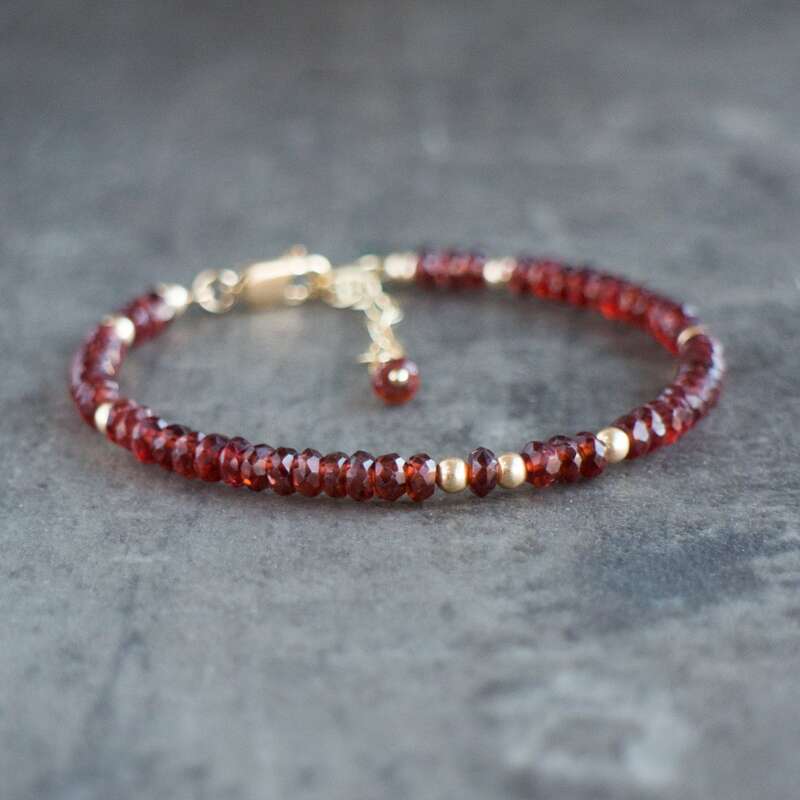 Gorgeous deep red natural Garnet beads have lovely sparkle! 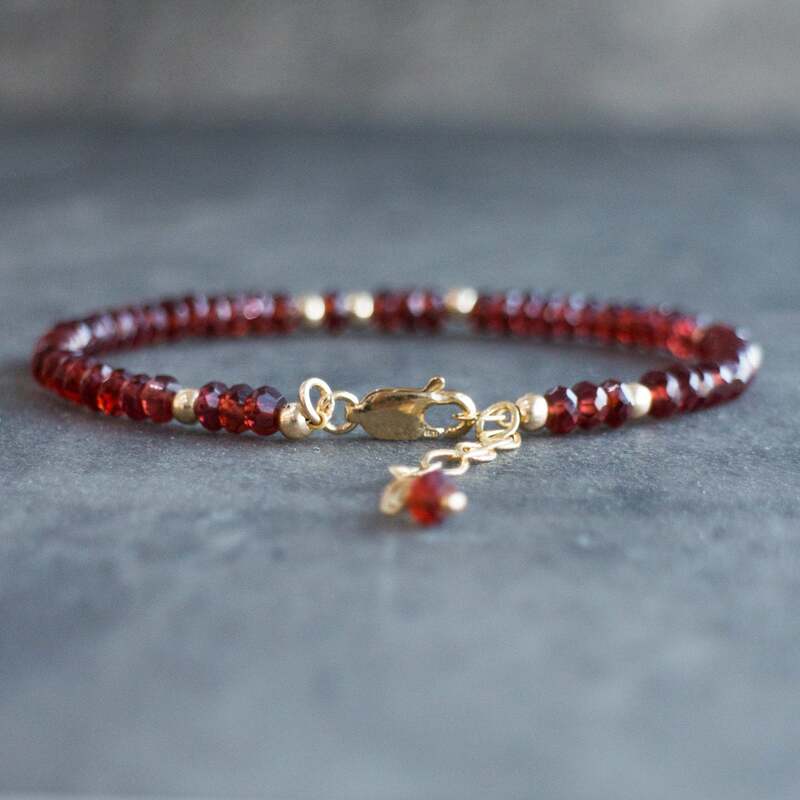 They have been highlighted with randomly scattered 14K gold fill beads and finished with 14K gold fill lobster clasp for this beautiful bracelet. 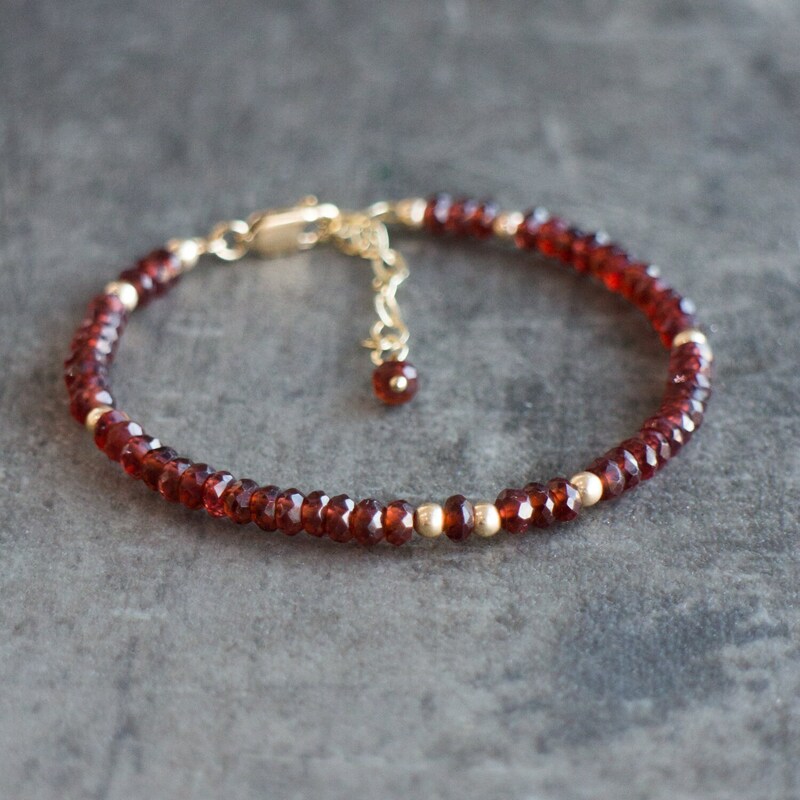 Also available in Sterling Silver and Rose Gold Filled with adjustable length. 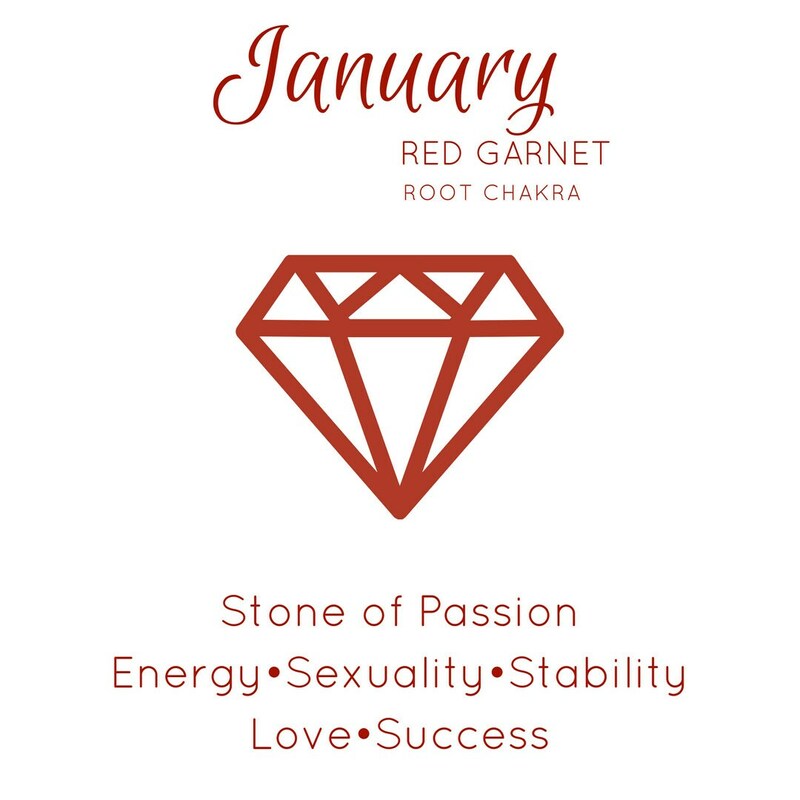 Perfect present for January Birthdays! 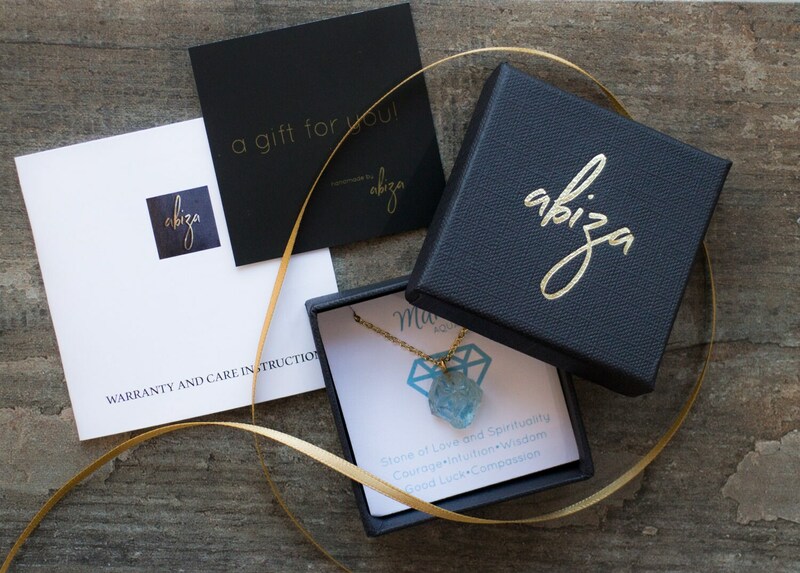 Comes with a crystal information card, in a beautiful Abiza gift box! 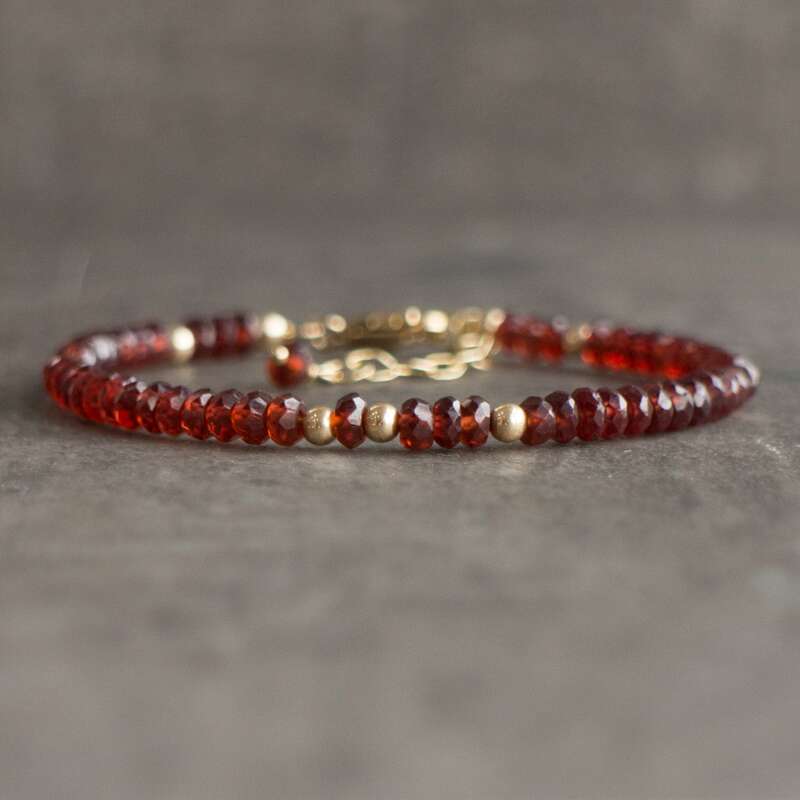 •Natural, hand-cut Red Garnet rondelles are high quality with top colour and beautiful sparkle. 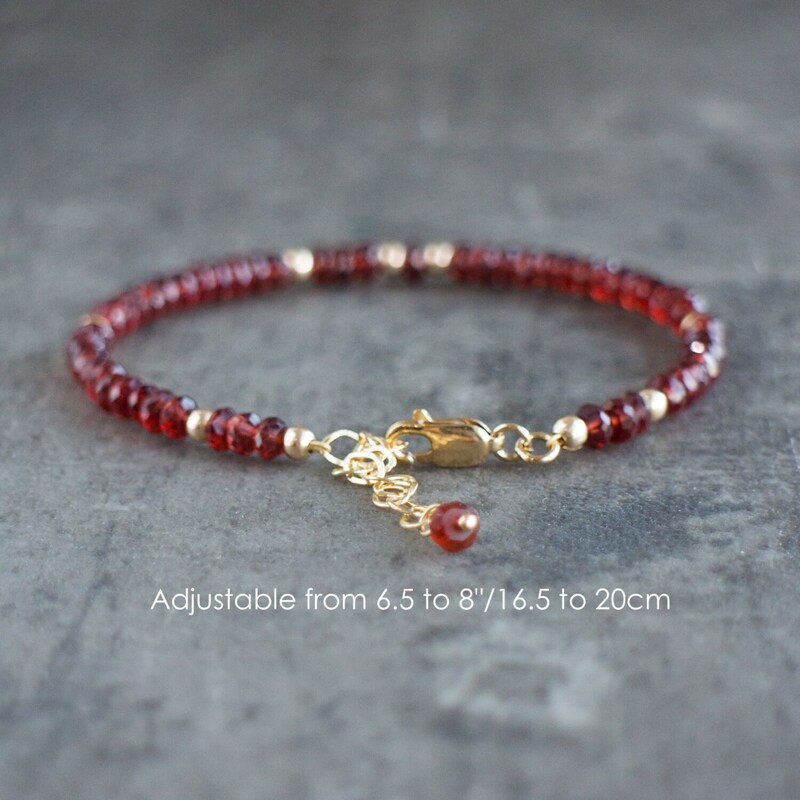 They measure 4mm approximately. 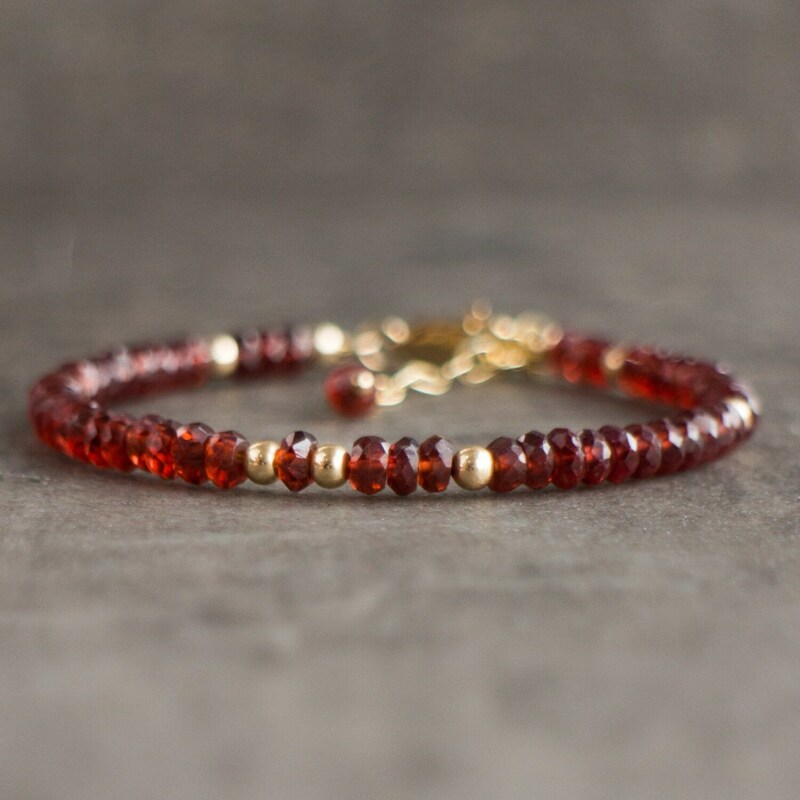 •14K Gold Filled, Rose Gold Filled or sterling Silver beads, chain and lobster clasp closure. Christmas present, went down very well. 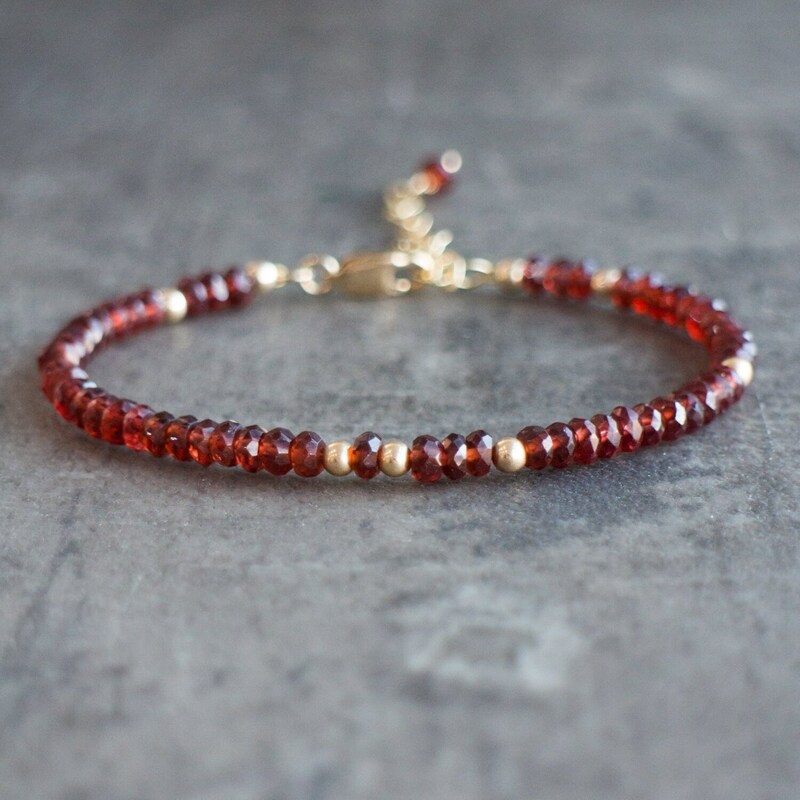 I haven't given this gift yet but I know the receiver is going to love it, it matches a previous item of yours that she already owns (the single garnet necklace), and it is utterly beautiful. Thank you! Come al solito bellissimo. 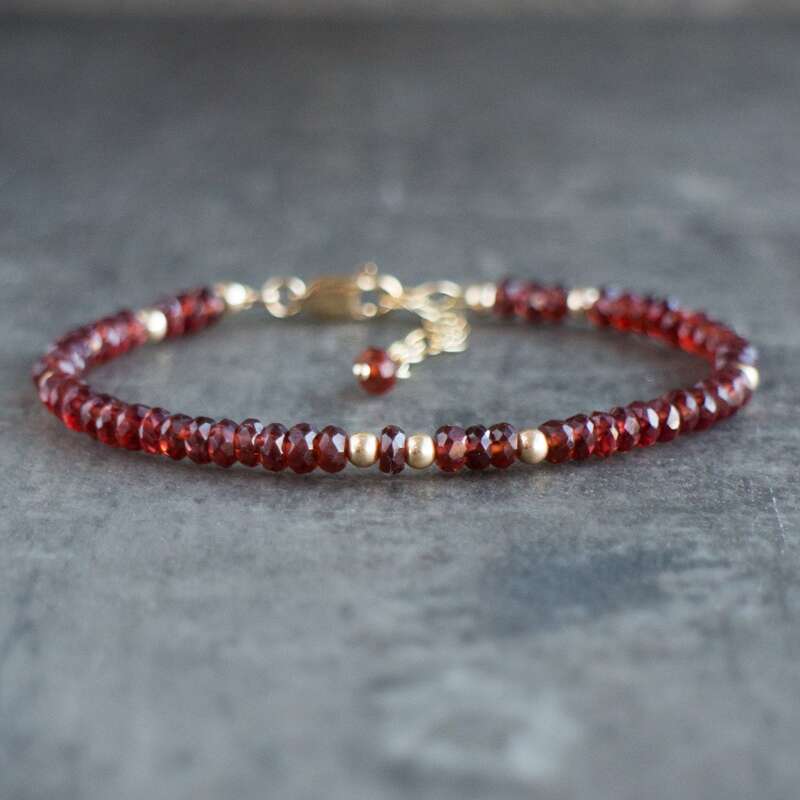 Un braccialetto bello e curato nei particolari. Ottimo acquisto e sempre gentilissima Aylin.